How many times have you been in a situation where you had to mindlessly kill some time? Fortunately, in this digital age we have lots of means of how to do that with our Smartphones or tablets. You just need the right apps, and you can let your mind go fish. These time-killing situations usually come up when we commute by train, bus, tram or subway; or when we have to wait for someone etc. So, what are the best apps to kill that dreadful time? Games. Puzzle games are the best types of games that can kill the most time. Usually players with smartphones play online casino games, either for free or for real-money, but whether it’s that or something another, you just got to have at least one puzzle game on your phone that can help you kill time effectively. 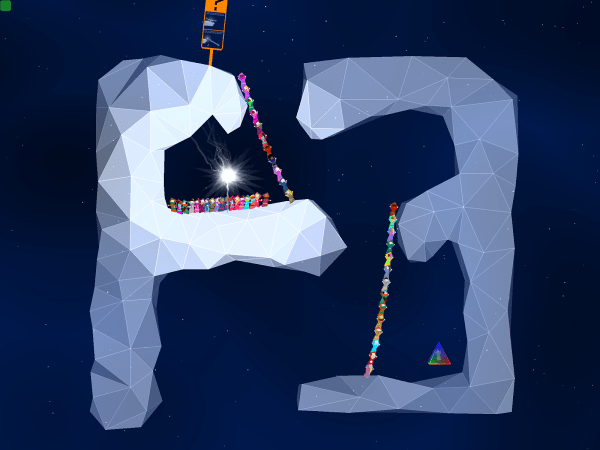 The best puzzle game at the moment has to be Kiwanuka. It is available for both Android and iOS devices. In this game you are in charge of a group of citizens and you have to guide them towards their freedom. It’s like a magical journey into forgotten dreams. How about an interesting mystery-adventure game? It’s called Blackwell 1: Legacy. This one is available for PC too, but you can also download it on your iPhone, iPad or Android. In it you are a character named Rosa Blackwell, which only recently discovered that she is a medium. As the story unfolds you get to experience interesting adventures. Don’t get into it for too long because you will lose track of time and kill more time than needed. You probably remember the legendary Snake game that was available on old Nokia phones, the king of killing-time games. Well, Grub is a modern re-imagining of this classic. Unfortunately, it is available only for iOS devices. There are no buttons to control your worm, but instead you have to tilt and turn your iPad or iPhone in order to steer it towards the apples. Dumb Ways to Die is a funny little free game, where you have to save little casually drawn characters from dying in some dumb ways, like being stung by wasps etc. It has a very catchy song that goes with the game which you may have heard before since it was a hit on YouTube. A morbid little game, where you can entertain yourself by watching the creatures die in dumb ways. Our last app that you can use to kill time to the utmost mindless manner is Paper Toss (1 and 2). A game inspired literally from being bored, boredom and having nothing to do, just like yourself when you turned on this game because you had time to kill and felt bored. Here you just have to toss paper in a garbage bin and usually the setting where you do that is an office that inspires boredom. In Paper Toss 2 you can throw paper at your sleeping boss (at this point you probably wished you could do that to your own boss). It’s a great game to relieve stress too.